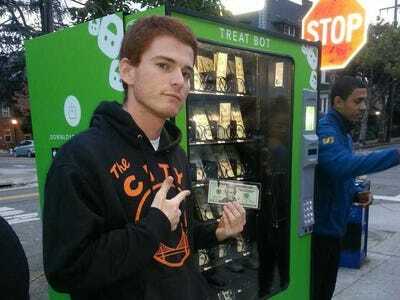 Clinkle, a mobile payment startup that was showered with $US30 million in funding last year, is now distributing some of that cash in the form of a vending machine, Valleywagreports. 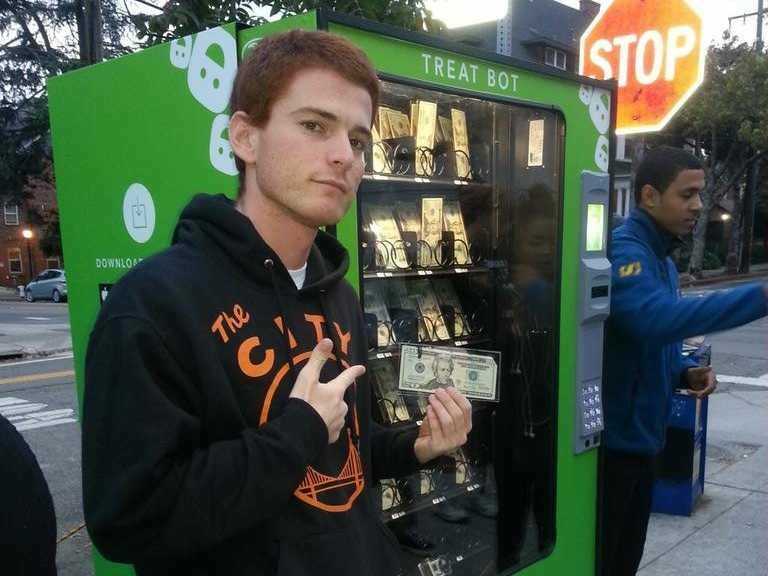 University of California, Berkeley students have been tweeting selfies from the company’s “Treat Bot” stationed outside a campus dining hall as they collect free $US20 bills for signing up for the service. The service itself is a bit confusing. It’s basically a version of Venmo, but with a complimentary black debit card that can earn perks. “Use the card, and you get treats. Send treats to another member, and their next purchase could be free,” Rob Ryan, Clinkle’s director of design, wrote on ProductHunt in September. After a tumultuous 17 months of layoffs and executive turnover, the Clinkle app has only just launched on select college campuses. This also isn’t the first time Clinkle has tried paying users to use its service. In June, the company paid beta testers $US10 when they swiped their card for a fifth time.